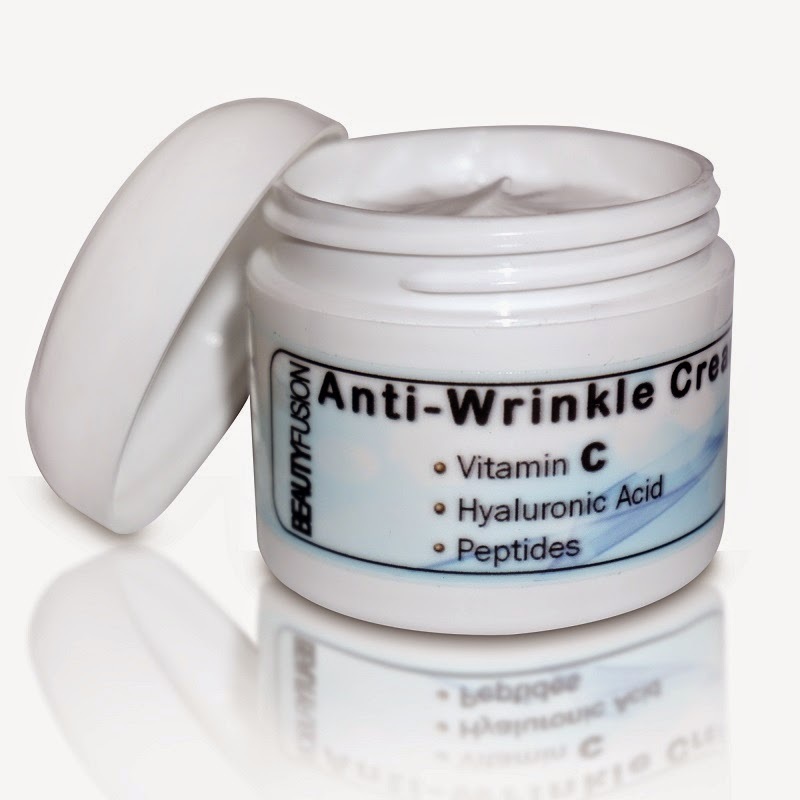 "Best Anti-Aging Face Cream with Peptides, Hyaluronic Acid, Vitamin C, E, B – Moisturizes, Repairs, Firms, Rejuvenates, Hydrates, Improves Skin Tone and Elasticity, Diminishes Fine Lines and Dark Spots (pigmentation), Stimulates Collagen Production." I was sent a 2.0 oz jar of the Anti-Wrinkle Face Cream from Universal Technologies, Inc. to review. The price for this jar is $35.25. Shipping is free with Amazon Prime. This face cream was sent to me in perfect condition. There were no dents, defects, nor issues during shipment. The jar is white, with light blue and black accents. The front of the jar labels the product and brand. The product lot number and expiration date are printed on a sticker on the bottom of the jar. The right side of the label provides a list of all the ingredients. The left side of the label is where you'll find the directions and manufacturer's information. The product was covered with a safety seal. Grab your scissors, this baby was hard to open! Are you wanting to try the Anti-Wrinkle Face Cream, too? Click the link below, and order away!